A cool statement can really make your day! That’s why we rather use our brains to think of adorable and witty “thoughts” printed on our products. 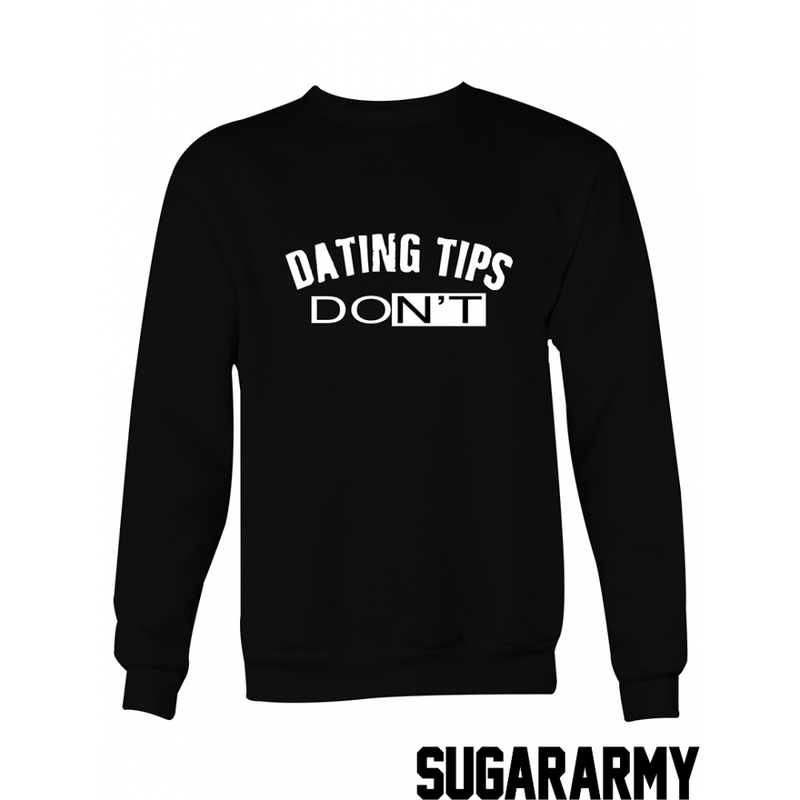 Cause there’s nothing cooler than a hilarious stuff written on your sweatshirt, and everyone must have at least one, admit it! 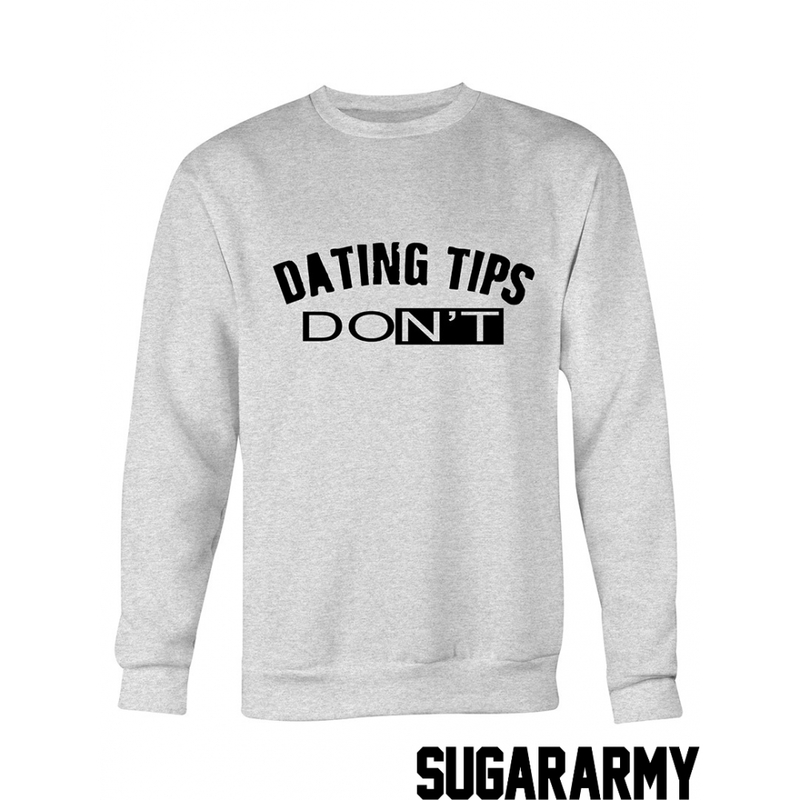 DATING TIPS: DON’T sweatshirt is our response to wonderings for how to proceed and act when liking someone and thinking how to impress him/her being on a date. Being yourself is probably the best advice. And since being yourself is the most casual thing to do, why not check out some of our favorite casual items. 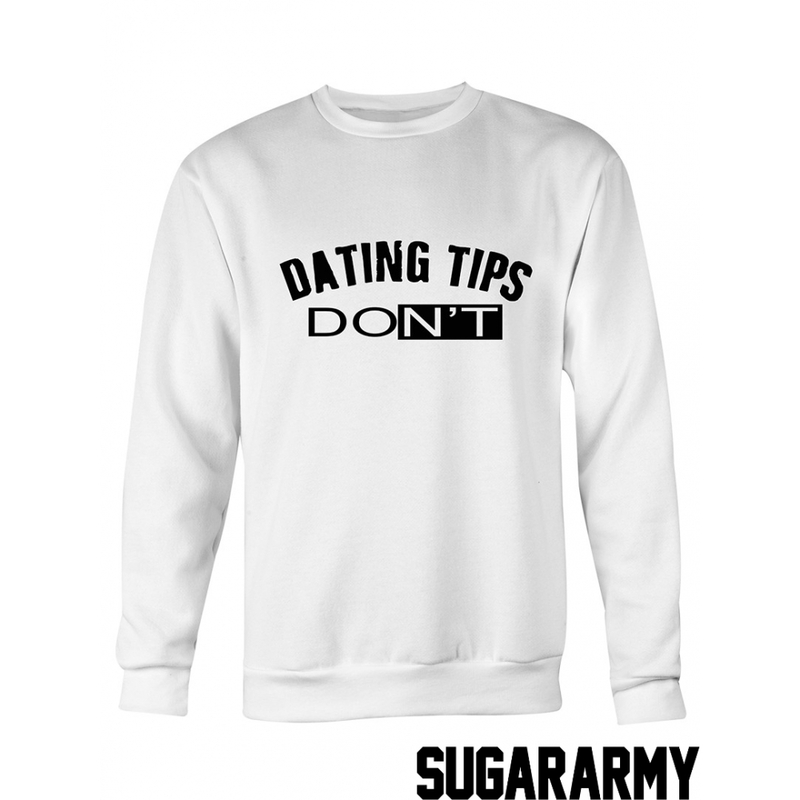 This sweatshirt is available in three colors- white, grey and black. Size is also optional.